Subchapter S Corporation, S Corporation, or “S Corp” status is a useful and viable corporate form in the right situations. A common area of confusion is how much salary S Corporation owners should take from their business. Actually, I find most often the confusion is really a mixture of salary at a transactional level, and really understanding separate legal entity status. Leaving aside yet another recital of Internal Revenue Code (nothing glazes eyes over like reciting IRC sections), let’s review the basics. First, keep in mind that any corporation is a separate legal entity from the owner(s). Second, if the business has revenue, and the owners do work (of any kind causing that revenue), then they must pay themselves a reasonable salary. Lastly, here is where you should leave all confusion behind. Since the IRC allows the S Corporate form, the IRS expects employees (that includes owners), that perform work, to 1) get paid, 2) have taxes withheld based on the rules, and most importantly 3) to pay their proper Social Security and Medicare taxes. If you do work, then Social Security and Medicare taxes need to be paid based on the magnitude of that payroll. Payroll is a S Corporate entity activity and responsibility. Aside from regular work, and the pay that goes with that work, an owner also acts as, well, an owner (shareholder). All the profit remaining, or losses, after expenses, including payroll expenses, flows through to the shareholders to be accounted for in the owners’ personal taxes. This is calculated and passed through to each S Corporate shareholder on a Schedule K1 annually (the sending of which is the S Corporations responsibility). Left-over profits are then available for shareholders to take as distributions, in accordance with their ownership percentage. Whether the owner actually takes a distribution or leaves the cash sitting in the S Corporations bank, and how distributions are taxed is another discussion. Although it is outside the scope of this blog entry, active versus passive participation, shareholder bases, as well as the character of the money taken affects taxation. Worldview Consulting & Accounting, Inc. is an Oregon registered CPA accounting firm. 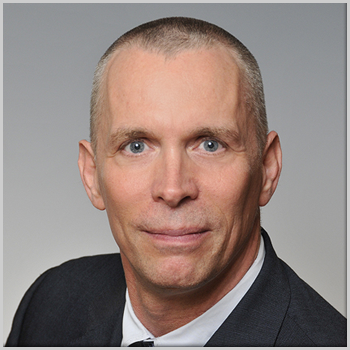 William Burwell, CPA, CFF, MBA, is a business consultant and financial forensic accounting services professional with over twenty years of high technology industry experience. Licensed in Oregon and Massachusetts.